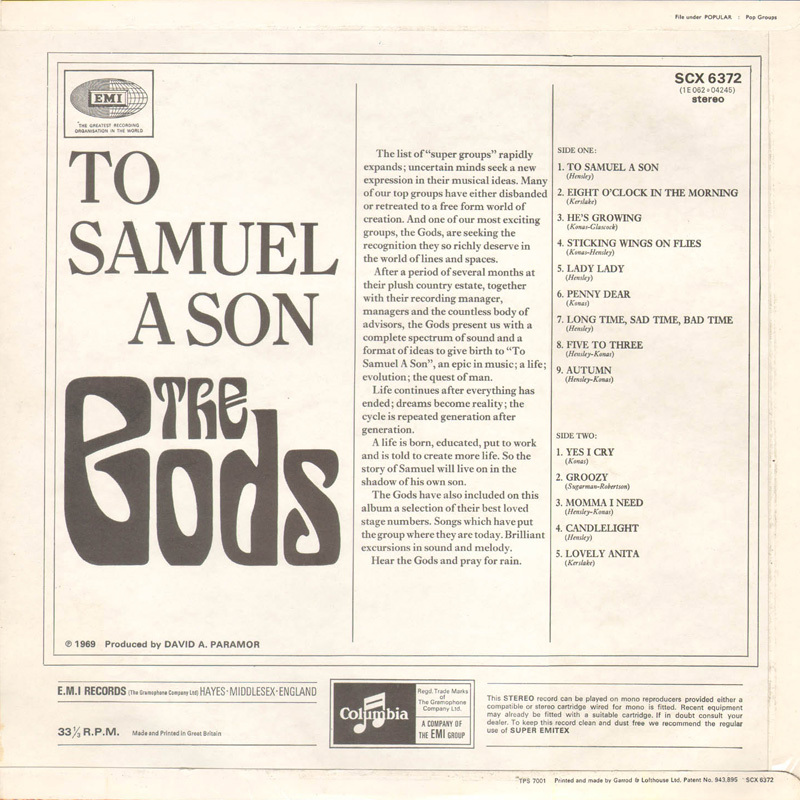 Original liner notes published on the back cover of The Gods’ “To Samuel A Son” LP. The list of “super groups” rapidly expands; uncertain minds seek a new expression in their musical ideas. Many of our top groups have either disbanded or retreated to a free form world of creation. And one of our most exciting groups, the Gods, are seeking the recognition they so richly deserve in the world of lines and spaces. 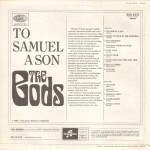 After a period of several months at their plush country estate, together with their recording manager, managers and the countless body of advisors, the Gods present us with a complete spectrum of sound and a format of ideas to give birth to “To Samuel A Son”, an epic in music; a life; evolution; the quest of man. Life continues after everything has ended; dreams become reality; the cycle is repeated generation after generation. A life is born, educated, put to work and is told to create more life. So the story of Samuel will live on in the shadow of his own son. The Gods have also included on this album a selection of their best loved stage numbers. Songs which have put the group where they are today. 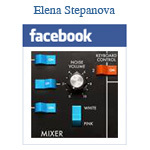 Brilliant excursions in sound and melody. Hear the Gods and pray for rain.